Not Running a Hospital: Only at IHI! The Annual Forum run by the IHI always has some surprises. 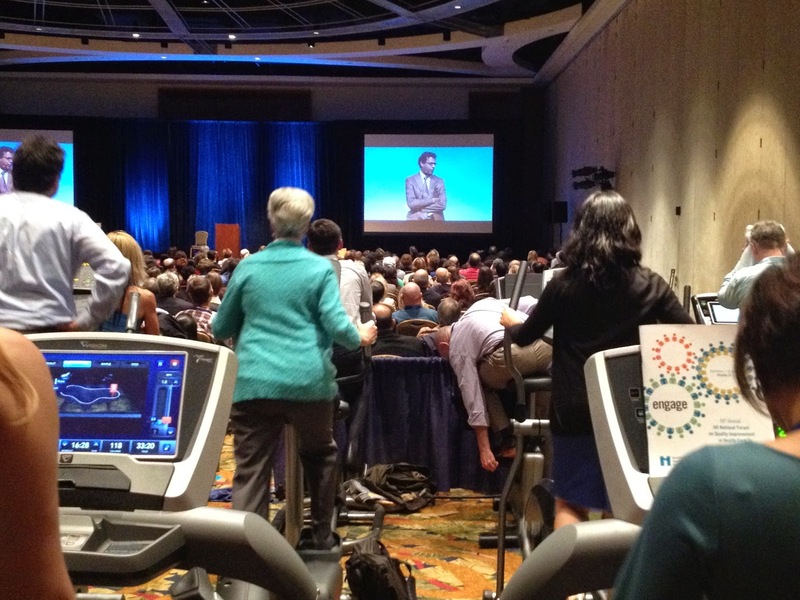 The best one for me this year: Only here could you be in the ballroom watching a keynote address by Atul Gawande while exercising on a treadmill! Cool I had a 'vision'... what if the speaker were on a treadmill while giving the speech...For a conference with 8 sessions I suppose many of the sitters would could have an hour turn. Hey Doc, please go away! Everyday innovators show the way at U. Mass. How bad is it? It's so bad that . . .
Two leaky lifeboats strapped together? How to ensure a "statistically valid sample"
What happened to pairing risks and rewards?